Twelve teachers from diverse geographic and ethnic backgrounds and academic disciplines came together to talk about the role that gender plays in their classrooms. They identified barriers to learning, suggested ways to overcome them, and submitted successful teaching ideas. 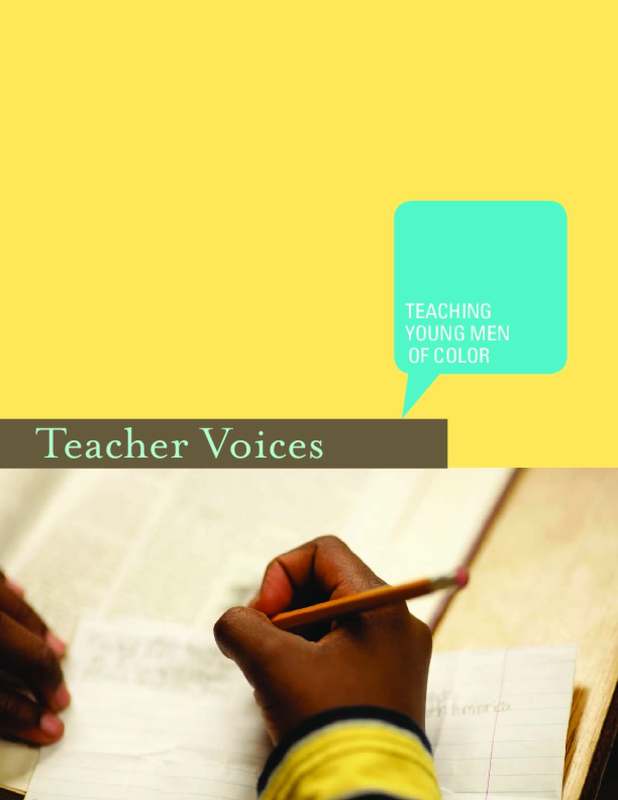 The report presents the teachers' messages in their own words, as well as classroom assignments they have found effective in teaching young men of color. Copyright 2014 by National Writing Project. All rights reserved.